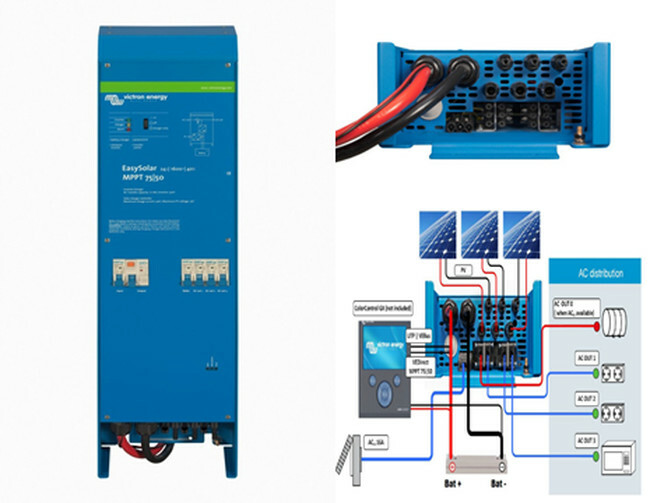 Powerful true sine wave inverter and high-speed AC transfer switch. Chop-over in less than 20 milliseconds, computers and other electronic equipment will continue to operate without disruption. Up to 9 Multi's can operate in parallel or 27 in 3-Phase configuration to achieve higher power output. 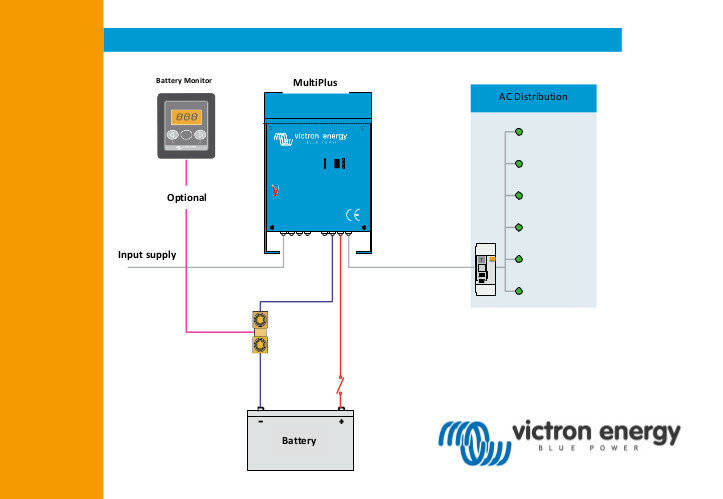 MultiPlus will charge a second battery using an independent trickle charge output intended for a generator starter battery (trickle charge output available on 24V models only). 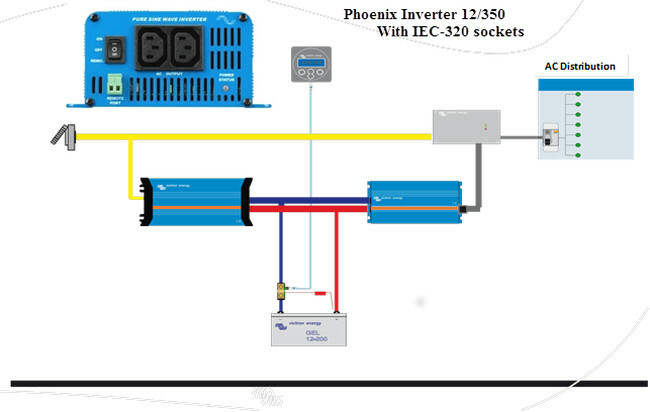 Compatible with Grid-Tie Solar Inverters. 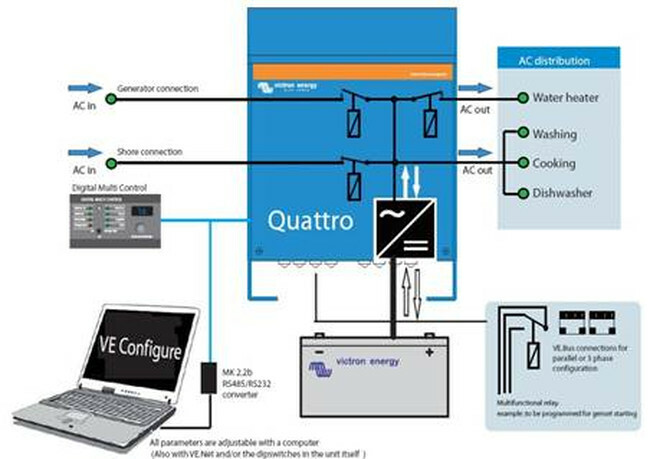 Fully programmable to interface with various other Solar PV systems.